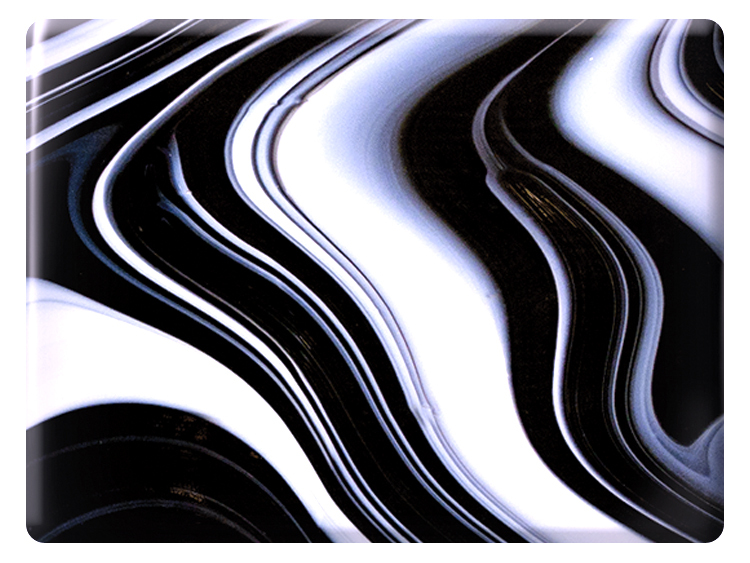 Rich and lavish Licorice Swirl OpalArt Sheet Glass makes great fused glass art. 96 COE. System 96. Glass is .125" (3mm) thick. 12" long x 6" wide.